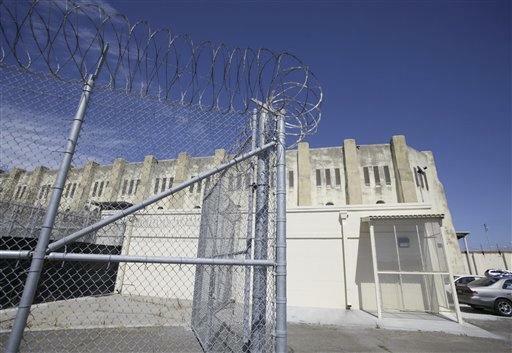 SAN QUENTIN, Calif. (AP) - A federal judge convened a most unusual hearing Tuesday at San Quentin Prison. Nearly all the routine court trappings were missing as U.S. District Court Judge Jeremy Fogel toured the state's new, $900,000 death chamber as part of proceedings aimed at helping him decide whether to restart lethal injections in California - a procedure he put on hold five years ago. The judge was 70 miles from his regular courtroom in San Jose and wore a business suit as he and two dozen lawyers, prison officials and other observers took a one-hour tour of the chamber. Every question the judge and lawyers asked prison staff was recorded by a court reporter, who wheeled along on a chair with a stenographer's machine. A transcript will be sent to the 9th U.S. Circuit Court of Appeals to consider during an inevitable appeal of Fogel's eventual ruling. At one point, the entourage passed a gurney to be used to carry out executed inmates, and a holding cell where condemned prisoners will spend the last six hours of their lives. Fogel said after the hearing that he would rule as soon as possible but wanted to convene at least two more hearings in his courtroom before scheduling a mini-trial called an evidentiary hearing that will precede his final decision. Fogel halted executions in the state in early 2006 and ordered prison officials to improve training procedures and fix flaws in the old death chamber the judge called too dim and cramped to humanely carry out an execution. Lawyers with the state attorney general's office want an immediate resumption of executions, arguing the brightly lit and antiseptic lethal injection facility addresses the concerns of the judge. The judge showed no emotion and gave no indication whether he was persuaded the new death house passed constitutional muster. San Quentin Lt. Sam Robinson led the tour and was peppered with a range of questions such as where the lethal injections were stored and whether the lights would be turned off in witness areas during executions. Fogel asked the most questions in the "infusion room," where the lethal injection drugs are stored, mixed and administered. Robinson told Fogel the prison's entire lethal injection drug supply was stored in a refrigerator locked inside a safe and metal cage in a small room with a window looking into the chamber where inmates will be strapped to a gurney. The small room came equipped with four telephone hot lines with red buttons and direct connections to the state Supreme Court, attorney general, governor and warden's office. Fogel had ordered the resumption of executions last year but later reversed himself and called off the lethal injection of convicted murderer Albert Greenwood Brown days before he was set to die last Sept. 30. The reversal after the 9th U.S. Circuit Court of Appeals told Fogel to reconsider. In his ruling, Fogel said he needed more time to determine if the state's new death chamber and lethal injection process protected inmates from cruel and unusual punishment. In addition, the California Supreme Court ruled it was impossible to carry out Brown's execution because of the expiration of the state's entire stock of a drug needed for lethal injections. Prison officials have since acquired a new stock of the drug, sodium thiopental, from a London supplier. The sole U.S. manufacturer of the anesthesia announced it would no longer make the drug. The overseas supplier was not the subject of Tuesday's hearing but will likely be the target of new legal challenges to capital punishment in California and in the nearly three dozen states that use sodium thiopental in executions. Attorneys for death row inmates and capital punishment foes argue that buying sodium thiopental outside the United States is an unreliable process that puts inmates at risk of suffering unconstitutional cruel and unusual pain.